In 1929 and 1930, a series of recording sessions—more than 100 commercially released tracks of country, jazz, blues, and gospel music, plus many more that weren’t issued—were made at Knoxville’s long-gone St. James Hotel, on Union Avenue. Bear Family, a German record label renowned for its luxe archival reissues of old-time and country music, is set to release a box set of the existing recordings next spring, and a handful of local organizations involved in the project have announced plans for a suitably grand celebration of the set and the music it documents. 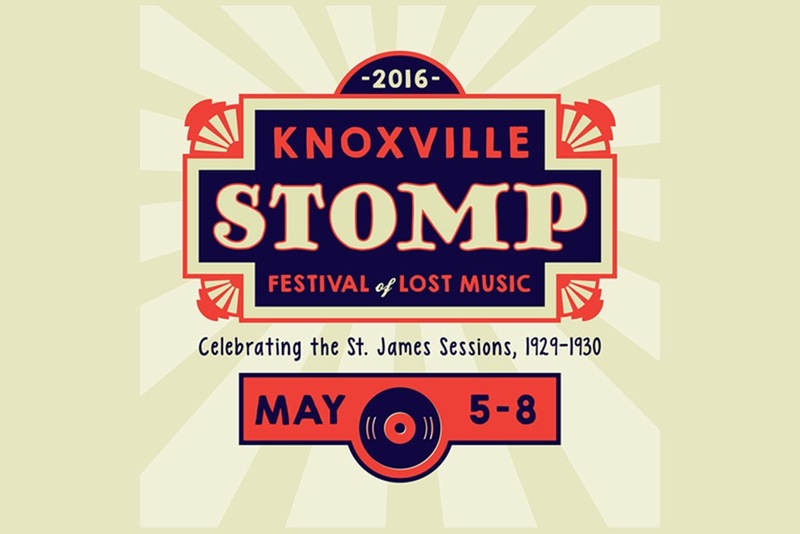 The 2016 Knoxville Stomp Festival of Lost Music, set for May 5-8, is a collaboration among the Knoxville Public Library and its Tennessee Archive of Moving Image and Sound, WDVX, the East Tennessee Historical Society, and Visit Knoxville. The weekend-long downtown event will include live music, speakers, panels, film screenings, a 78 record collectors’ show, and a corresponding exhibit at the East Tennessee History Museum that will run from April 11 to Oct. 16. The music headliner is Dom Flemons, a co-founder of the Carolina Chocolate Drops, a North Carolina string band that takes its name from the Tennessee Chocolate Drops, one of the acts that recorded at the St. James Hotel. WDVX will also stage a Saturday concert on Market Square, featuring local bands performing music from the St. James recordings. Amanda Petrusich, whose 2014 book, Do Not Sell at Any Price: The Wild, Obsessive Hunt for the World’s Rarest 78 rpm Records, explored the world of old-time and blues music collectors, will also appear, as will Joe Bussard, a 78 collector from Maryland whose efforts in the 1950s and ’60s preserved much of the music we now have from the 1920s and ’30s. Reeves met Bussard in the 1990s, when he was working at the Library of Congress. When Reeves drove from Washington, D.C., to Bussard’s house outside Baltimore, Bussard played a song by Ridgel’s Fountain Citians—one of the songs from the St. James recordings. It was the first inkling Reeves had of the sessions and the first time he realized that he might be able to make a career out of preserving Knoxville culture—so having Bussard here again to talk specifically about those Knoxville recordings is a big deal for him. Reeves and TAMIS archivist Eric Dawson (a regular contributor to the Knoxville Mercury) have been instrumental in the research for the Bear Family box set. 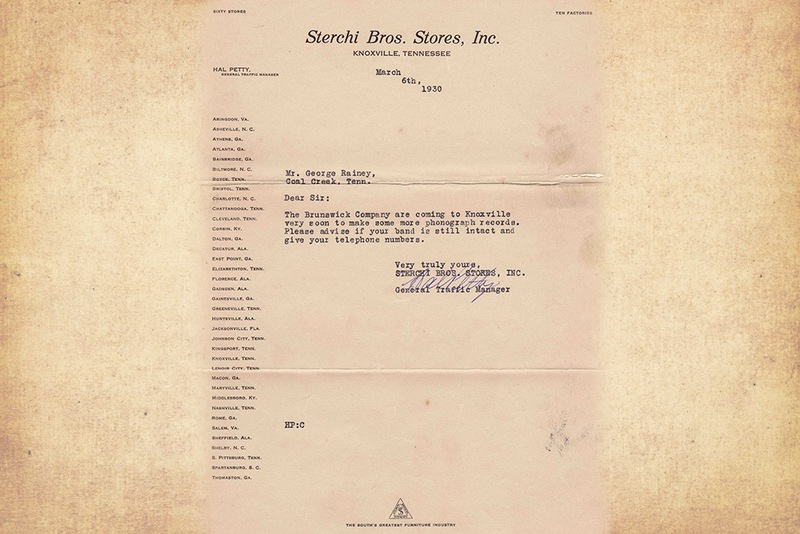 The TAMIS collection provided much of the material—dates, photos, biographical information—for the hardcover book that will be part of the set. (They collaborated with Ted Olson of East Tennessee State University and Tony Russell, a noted country-music historian from England. They’re all expected to take part in panel discussions, along with Jack Neely and Bear Family head Richard Weize.) Reeves and Dawson have tracked down new info on Maynard Baird, the leader of a well-known Knoxville jazz combo in the ’20s and ’30s, and Odessa Cansler, a blues singer whose records were never released. The Knoxville sessions are noted for their diversity, especially compared to similar recording sessions in Johnson City and Bristol, which were largely old-time and country music. The St. James recordings were more cosmopolitan, reflecting a vibrant urban culture that’s barely remembered. Reeves says this project can help restore some of that lost history.